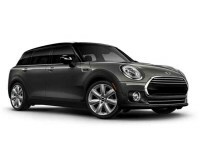 MINIs sure aren’t “mini” when it comes to reliability and comfort! 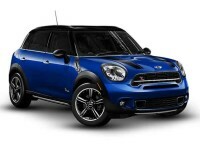 And we have ever new model MINI made, from the Hardtop 2 Door, Hardtop 4 Door, Countryman, Paceman, Convertible, Coupe, Roadster, to the John Cooper Works. 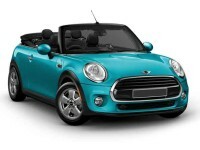 You can lease something else, of course, if you’re not totally sure about leasing a MINI. We also can lease to you any new model coupe, sedan, convertible, SUV, van, mini-van, truck, or off-road vehicle made by Acura, Audi, BMW, Buick, Cadillac, Chevrolet, Chrysler, Dodge, Ford, GMC, Honda, Hyundai, Infiniti, Jaguar, Jeep, Kia, Land Rover, Lexus, Lincoln, Maserati, Mazda, Mercedes-Benz, Mitsubishi, Nissan, Porsche, Ram, Subaru, Smart, Toyota, Volkswagen, and Volvo as well. We just can’t be touched when it comes to offering customers variety! 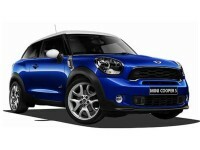 No other leasing agency has the sort of inventory we do! And no other leasing agency has lower prices than we do, either. Our prices are so low because we keep our operating expenses low. One of the biggest ways we do this is by not having a physical car lot. Instead, we have a virtual car lot, a lot you can find right on the internet. This saves us property costs, property taxes, property insurance, utility costs, and a whole slew of other big bills. It’s common knowledge that a business’s operating costs are handed down to their customers, so we, in keeping our operating costs down, just don’t have the large expenses that call for high leasing prices to cover them. Having a virtual lot does more than just keep our prices low; it also means that our customers get to have an incredibly easy and smooth leasing experience. When you lease with us, you won’t have to worry about how you’ll get to some car lot somewhere. You won’t have to call cabs or mooch rides. Instead, you stay put in your own home and just surf to our site. 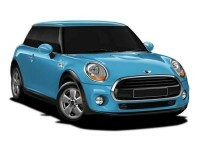 There, you’ll find our virtual lot with its hundreds of new model vehicles for you to explore! If you have any questions as you’re looking around, you can get the answers by just calling us up and asking! That beats having a salesman around to serve that purpose – as he also follows you around, pressuring you, rushing you, and trying to sell you stuff, eh? When the time comes to think about financing, we’ll make it all easy! We know that financing is something a lot of people worry about and dread, so we’ll handle most of the work for you, including even filling out most of the paperwork so you won’t have to mess with it. We’ll work directly with banks and other lenders to get you a deal you’ll be really happy with, a deal with low interest rates, low monthly payments, and terms that are fair and make sense. If your credit rating leaves a lot to be desired, don’t go thinking you don’t stand a chance at getting financing! We’ll still work hard for you and give it a good try! We’ve often gotten financing for people who’d thought there was no way they’d ever qualify. We’ve even gotten financing for people who’d tried to get financing through some of our competitors, but were refused! So don’t give up just yet! Talk to us and let’s see if we can come through for you as we did for those customers! In case you haven’t noticed, making things easy on you is one of our main goals, and the same holds true on the day you get to drive your new lease. Instead of your having to worry about how you’ll arrange to go pick it up, we’ll bring it right to your home, office, or most anyplace else you name. Whatever works for you that day works for us! Please, just call us up at 754-702-2323 if you have any questions for us or if you’re all ready to lease today! We look forward to meeting you – and to getting you mobile, driving around Fort Lauderdale in a vehicle you’ll truly love!